In his debut novel, Stav Sherez - author of the best-selling Carrigan & Miller detective series - explores a history of terror and mass murder rooted in Europe's murky past. In a forgotten corner of a rain-lashed park in Amsterdam, the body of a tramp is found. The scarring on his body suggests he may be the latest victim of a serial killer terrorizing the city, but the police can find no name, only the telephone number of a young Englishman. Jon Reed is summoned from London to identify the body of the man he once knew as Jake Colby. With a killer on the loose, he and the detective in charge of the case are determined to help uncover the truth of what happened, no matter where that may lead them. 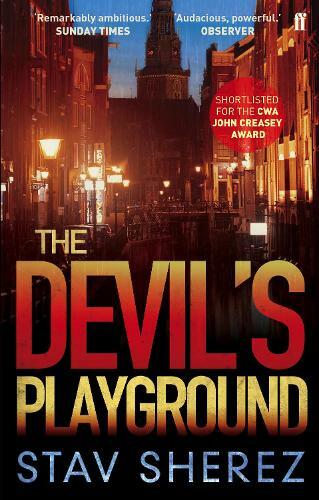 The Devil’s Playground – It Really Is!